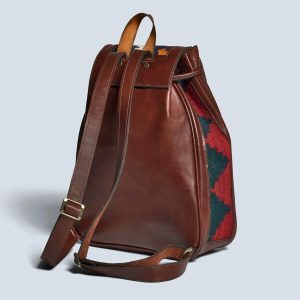 This versatile and stylish backpack made of original Kilim and fabric is perfectly paired with any neutral outfit. 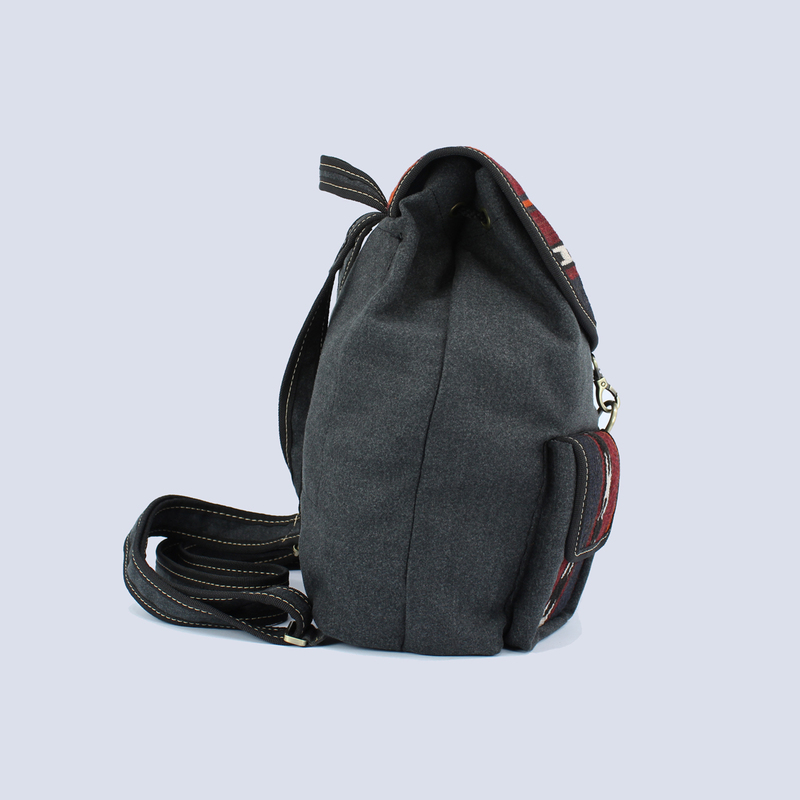 The Clara backpack features a large main compartment making it suitable for any occasion. Combining dark leather and colourful kilim (Suzani), this satchel is made by masters of the art of kilim. Spacious and elegant, it is perfect for professionals great for everyday use. Urban meets classic with this premium handmade backpack. Featuring a striking combination of quality leather and authentic kilim, it is spacious and charming – suitable for any setting. Hand-made from Persian kilim and brown leather, this stylish clutch beautifully combines form and function. And with its unique vintage-looking design, it will complement your day or night outfit—the perfect bag for going out! This cute and colourful Kilim and leather wallet features a simple and stylish design. Hand-made by masters of the art of kilim. It’s the perfect accessory or everyday wallet!